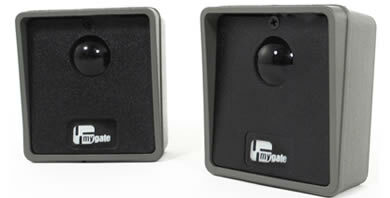 MyGate Squared Wired Safety Photocells for all MyGate kits. 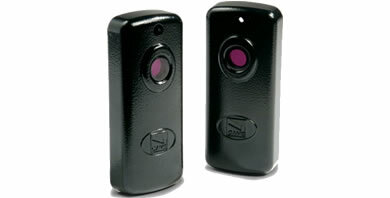 A pair of Came Wireless DBC01 surface-mounted "cordless" photocells with synchronised mono-directional infrared beam. Range: 10m / 32.8 fit (1 receiver + 1 transmitter without batteries). 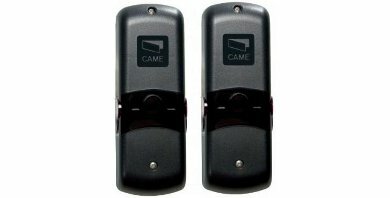 Pair of Came DIR Wired Safety Photocells. 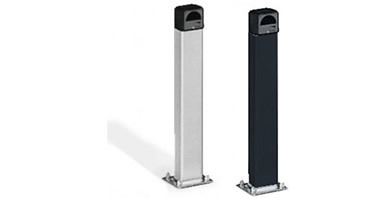 Black anodised aluminium post for 1 photocell. 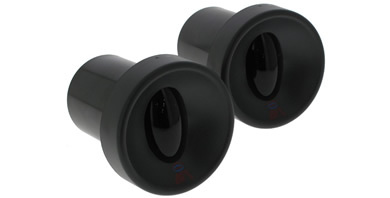 Pair of Came DELTA-I/DELTA-E flush/surface-mounted photocells complete with casing. 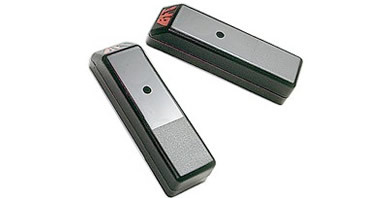 Range: 20m / 65.62 ft.
A pair of Came DIRZ 2 Metal Covers for DIR Wired Safety Photocell Sensors. 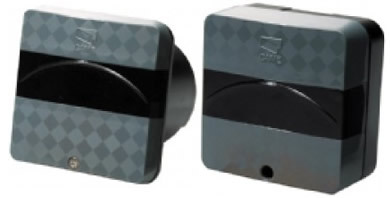 Pair of Came DELTA-SI/DELTA-SE flush/surface-mounted photocells complete with casing. Range: 20m / 65.62 ft.
A BFT FL130B Old Style Rectangular Mini Photocells for use on BFT gate automation kits. 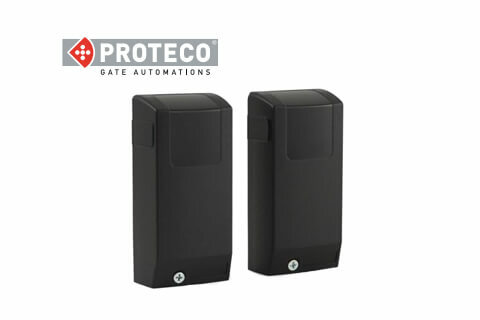 BFT Desme A15 Safety Photocells for use on BFT gate automation kits. 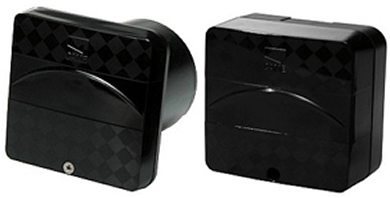 BFT CELLULA50 Flush Fit Adjustable Safety Photocells for use on BFT gate automation kits. 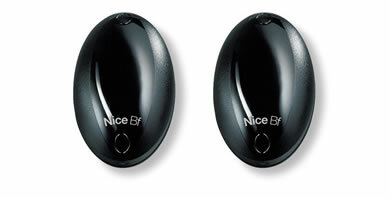 Nice BF Wired photocells - Synchronised surface-mounted photocells. 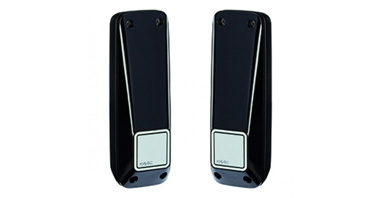 Nice FT210/FT210B wireless optical photocells are compatible with all Nice sliding gate kits. 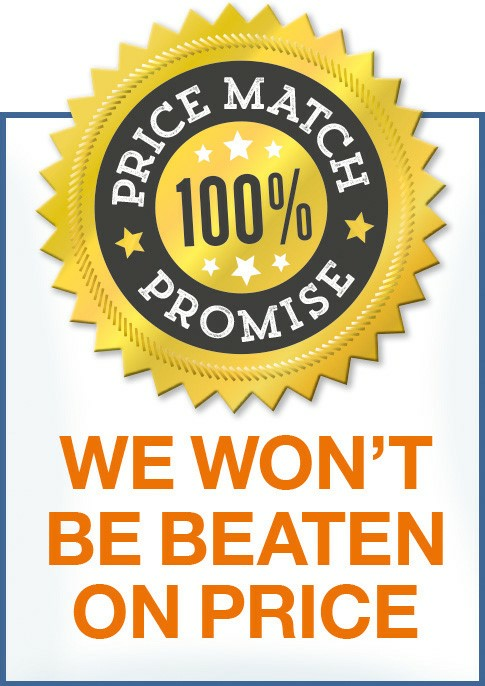 Synchronised Nice F210 safety wired photocells horizontally adjustable through 210 degrees and 30 degrees vertically, with BlueBUS technology. 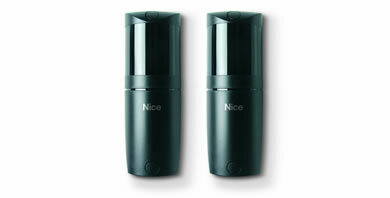 FAAC XP 20 D safety Photocells. Can be installed as an additional set on the inside of the property. 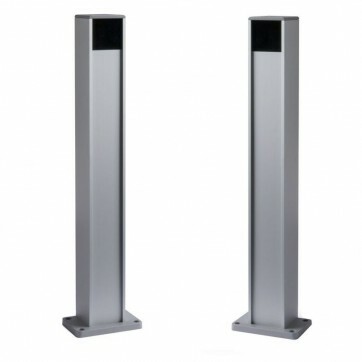 Aluminium posts (pair) with protected housing for a set of photocell, 500 mm high. 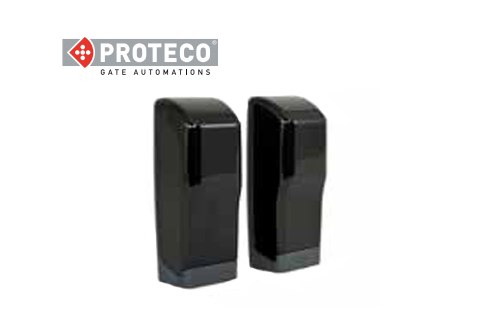 Proteco Flush Mounted Wired Safety Photocells. 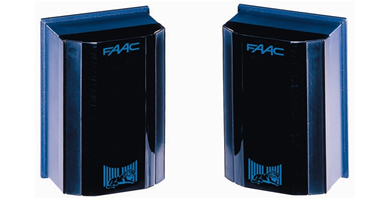 The FAAC Wired Safety Photocells. Additional sets for installation on the inside of the property. 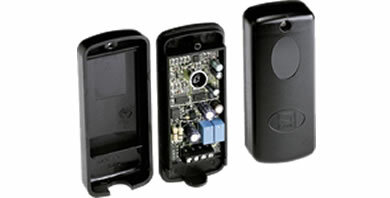 FAAC XP 20 W D Wireless Safety Photocells. 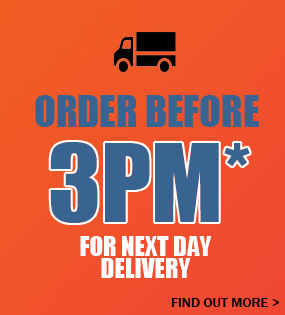 Can be installed as an additional set on the inside of the property. 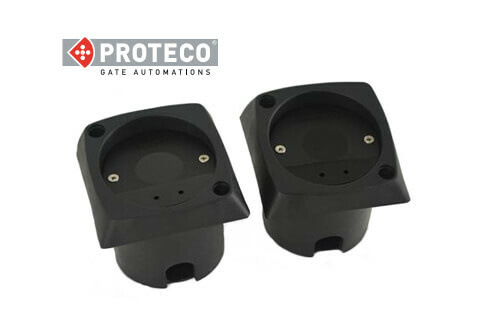 FAAC XP 20B D safety Photocells. Can be installed as an additional set on the inside of the property. Fixing Bracket for Nice F210 & FT210 Photocells. Column & Photcell Foundation Plates. 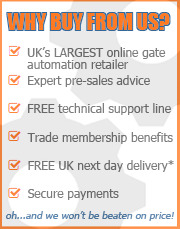 Columns in Aluminium to mount keypads and Photocells. 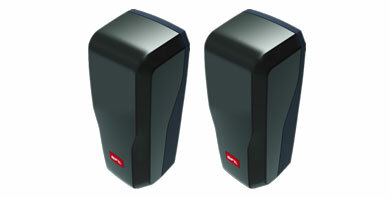 Vandal Proof Metal Shell F210 & FT210 Photocells.